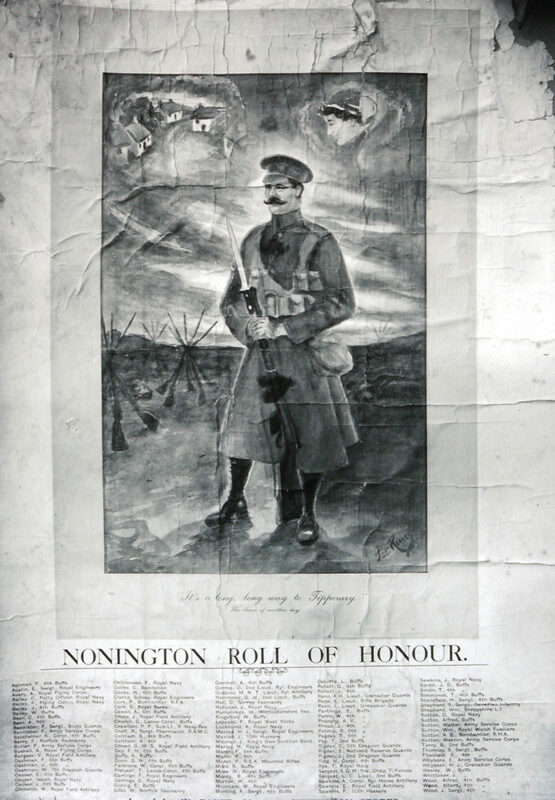 The following is a record of Nonington men who served in the Armed Forces during the Great War of 1914 to 1918. It appears to have been published in the early part of the war as the names of some Nonington men known to have served are missing. Church Lane, Nonington, in May of 1939. Discovered in the last week of May 1939 in the grounds of Mr. F. G. Garlinge of Church Lane (now The Haven in the present Vicarage Lane), Nonington. Mr. Garlinge has recently built a bungalow on the right hand side of the road leading from The Royal Oak Inn to the church (now The Haven). He is a haulier and near the bungalow is a range of open sheds for housing his motor lorries. In one of these sheds and inspection pit was made. A domed cover of brickwork was met with at a depth of about 18 inches below the surface and when this was broken open a vertical shaft about 2’ 6” (2 feet 6 inches) in diameter was disclosed. A rope was attached to an adjacent post and a ladder let down into the shaft and in this way a precarious descent was made possible. 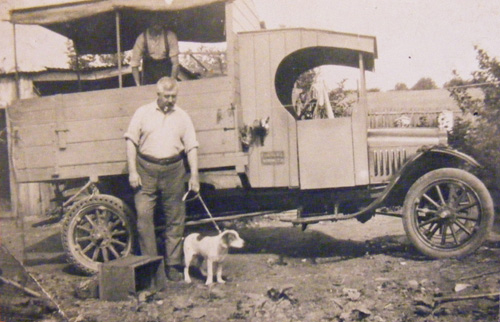 Mr. Fred Garlinge with his first lorry at The Haven, late 1930′s. He served as a Captain in the Home Guard during WW2. On Saturday 4th June an inspection was made by Mr. Western Plumptre who descended the shaft. On the same day a representative of the “Kent Messenger” also went down. Mr. Plumptre communicated the find to me and on the 5th June I visited the spot accompanied by Mr. C. W. Knox, Admiral R. G. Morton and Capt. A. G. Morton and the three latter descended the shaft. The shaft is carried through a surface bed of loam into the chalk and is bricked round at the top to a depth of 5 or 6 feet. The bricks did not appear to be old and we judged they were 18th century date. At the bottom of the shaft-perhaps 28 or 30 feet deep-it opened out into four domed chambers lying around the shaft and each of them about 20 feet (I am not sure of the dimension) in diameter. The chambers were dry and the air was sweet. In this district the old wells, now mostly disused, are about 120 feet deep. The chalk had a fresh appearance and in two of the chambers there had been falls of chalk of apparently recent date. The marks in the chamber walls appeared to indicate the use of a modern pick. Small scull, apparently of a rat and a few other small bones. Piece of wood, apparently oak or elm, about 9” x 2” showing marks of decay. Old lamp of metal which had lost its spout, probably 18th. Century. Several iron nails about 2 ½ “ long and not old. These served to be nothing definite to indicate the age of the denehole. All the indications seemed to me to indicate that there had been some use made of the excavation about a century and a half ago, but this would not be inconsistent with the original excavation being of much greater antiquity. Mr. Garlinge states that from the recollection of his ancestors the site has been an undisturbed meadow for the last 100 years. I have got a strong impression (in which my friends concur) that whatever was the original purpose of this and other deneholes they were made to obtain the use of underground chambers and not for the use of the chalk that was excavated from there. Mr. Garlinge is interested in the find and eager to have it investigated. He has apparently no intention of doing any surface work at present which will interfere with investigation. 7.6.1939. Further particulars obtained on a further visit accompanied by Mr. Stebbing. Depth of shaft: about 31 feet. Four chambers 10’ in height with domed tops. 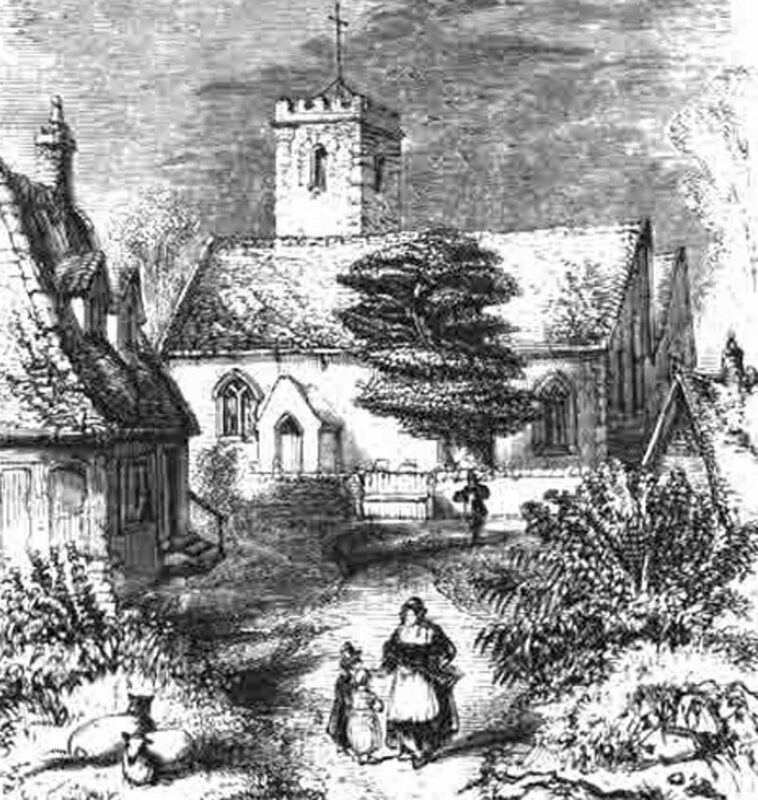 Mr. Stebbing later included an account of his visit to the Church Lane denehole in an article published in the Archaeologica Cantiana, vol. LI. Notes on some excavations of the nature of deneholes, by W. P. D. Stebbing, F.S.A., F. G. S ,and other sources. In May 1939 Mr. F. G. Garlinge was digging an inspection pit in his lorry garage on land next to Church Lane, from where he ran his coal delivery business. 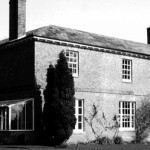 Excavation was underway in the north sloping corner of land that had been used as meadow for at least a century when a brickwork dome was discovered some 18 inches (450 mm) down, which when broken through disclosed a brick lined vertical shaft some 3 feet (900 mm) in diameter descending to the level of the solid chalk, some 30 feet (9 metres) or so. 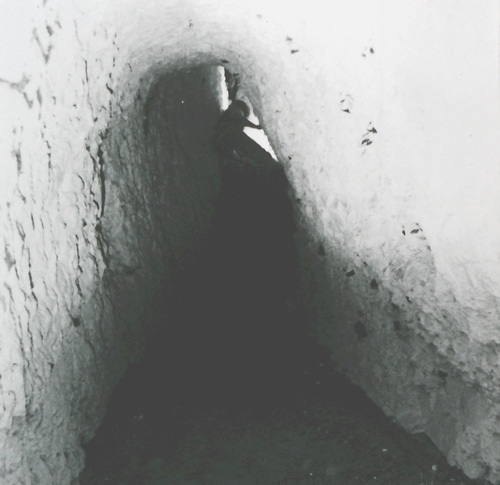 At the bottom of the shaft was a surface bed of some 5 to 6 feet (1.5 to 1.8 metres) of fallen loam and chalk which prevented accurate measurement of the depth. 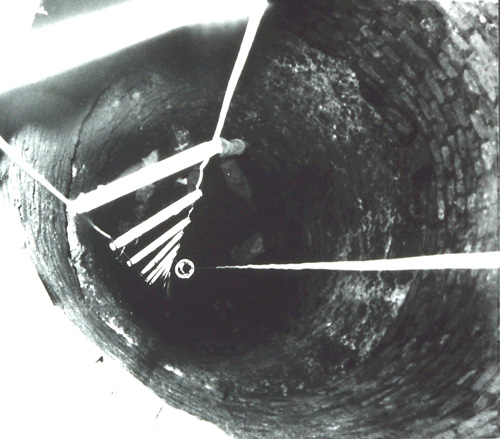 The denehole‘s layout was untypical in that the large shaft went down directly into a central space from where four domed chambers opened out, so needing a ladder or windlass and rope to descend the shaft and to bring up excavated chalk. The bricks used in the construction of the shaft and dome were of a type used within the previous 150 years of the date of discovery. 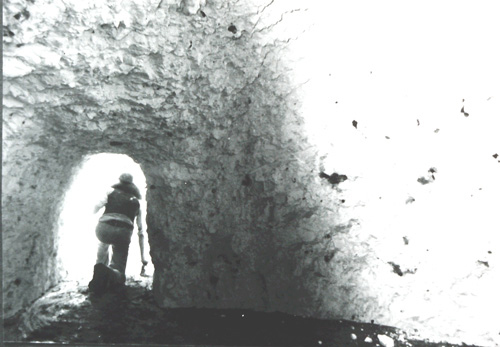 The four chambers were of differing height and dimension, the largest having suffered an extensive chalk fall which left the overlying loam exposed. This probably indicated the excavators were amateurs, possible ordinary farm labourers, as they had ignored one of the basics of excavation in not leaving a sufficient depth of chalk to support the roof of so large a chamber. The marks of the picks used in the excavation were clearly visible and plentiful. Found in the debris at the bottom of the shaft were a few small mammal bones, a piece of wood and an 18th century type iron lamp minus its spout. Use this link to go to a more detailed account.